Everyone who visits the island ends up on Maximilianstrasse. It’s a promenade, an architectural gem, a shopping street and a history lesson all rolled into one. But you need to watch your feet when you’re strolling along this 230-metre-long street, as it still has its cobblestones from the Middle Ages. And make sure you look from side to side when you’re walking down this wide street, as every few metres there are narrow, winding alleyways that tempt you to step back in history. 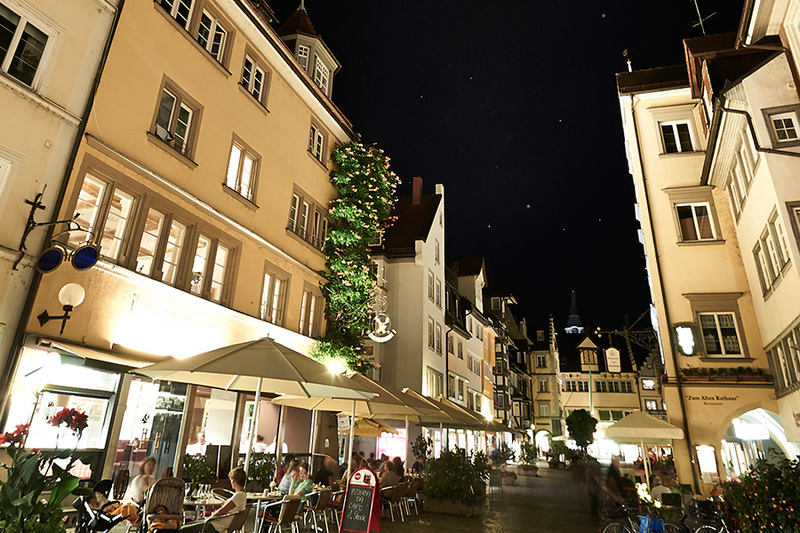 Make sure you look up when you’re sitting at one of the outdoor cafes or restaurants – the patrician houses with their decorative gables, dormer windows and artistic wall and ceiling paintings tell amazing stories about their former owners. The street was pedestrianised in 1973, but before then it was the home of the guilds and the centre of the town’s trade. This is reflected in the names of the different sections of the street. In the west it begins as Mezg (butchers), then becomes Brodplatz (bakers) and finally Alten Markt (old market). The “Zum Sünfzen” patrician association was based here. It was first mentioned in 1358, and its remarkable building with arched entryway can still be admired today. Other impressive buildings include Weinstube Frey, the Haus Zum Bären and of course the colourful Old Town Hall. The main post office building is not officially on Maximilianstrasse, but just a little further on you can’t miss its striking facade as it looks out over the station square and harbour entrance. Once you have had your fill of architecture, and eaten your fill in one of the many historic restaurants, it’s time for a little window shopping. 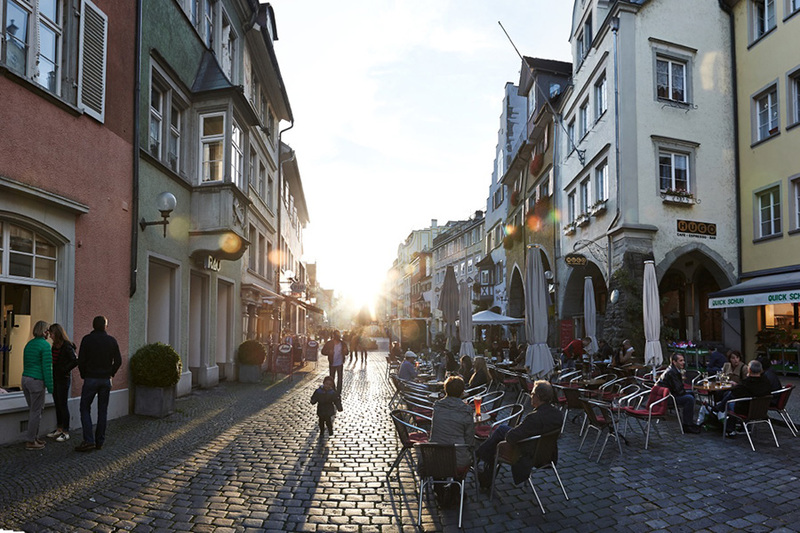 Many shops have been run by Lindau families for generations. Visitors love their unique interiors and unusual wares.